Dinner at the GohGan pop-up in Seoul. 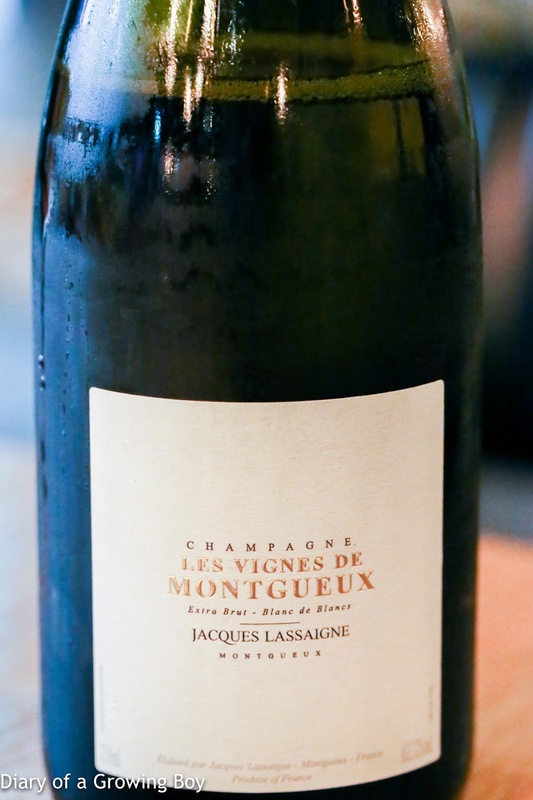 Jacques Lassaigne Les Vignes de Montgueux Blanc de Blancs Extra Brut - nice minerality, with good acidity but surprisingly rounded on the palate for this extra brut. A hint of bitterness on the finish. 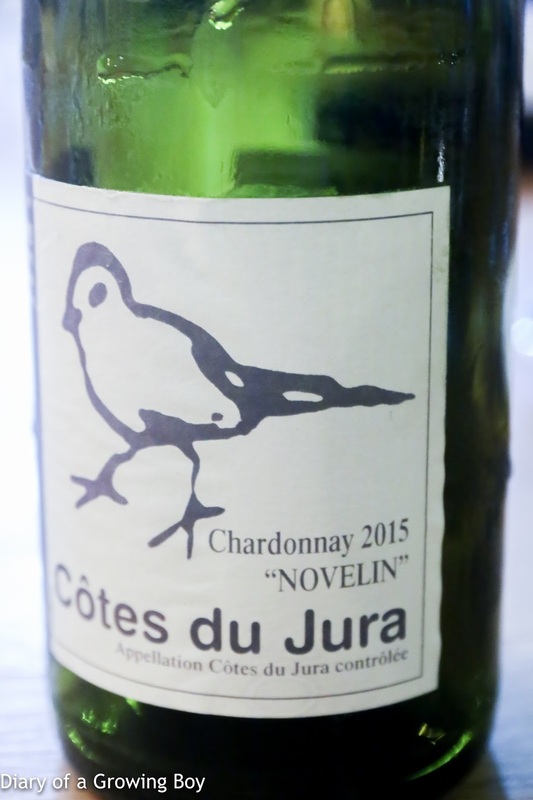 2015 Didier Grappe Côtes du Jura Novelin - smooth on the palate, finish a little short, and almost a little bitter. 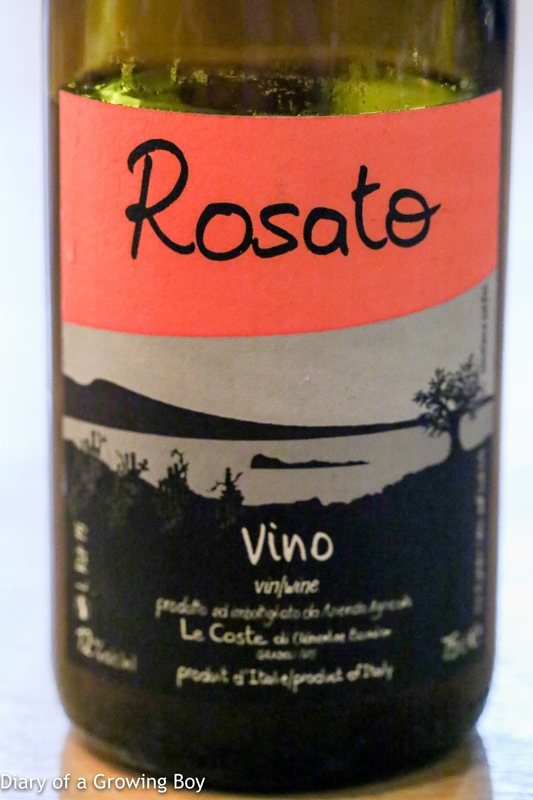 Le Coste Rosato, vintage unknown - a little pungent... was there sulfur? Nose of red fruit. A little better later showing more sweet fruit. 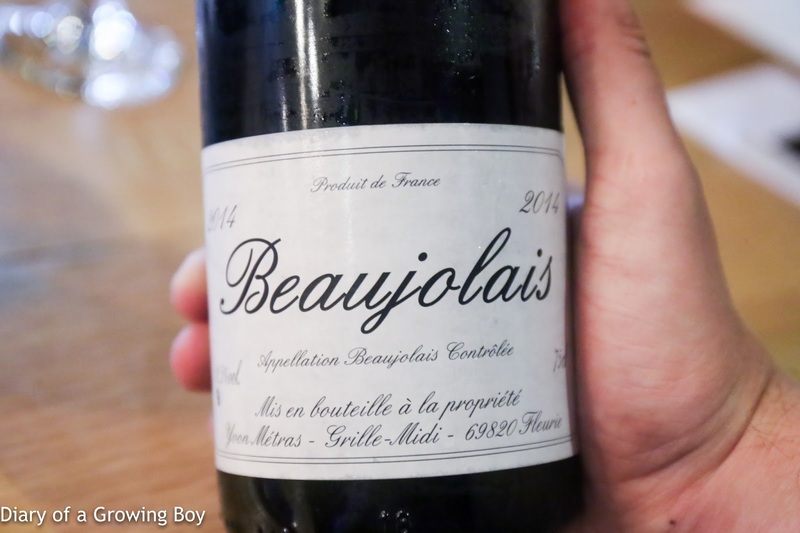 2014 Yvon Métras Beaujolais - a very nice gamay. 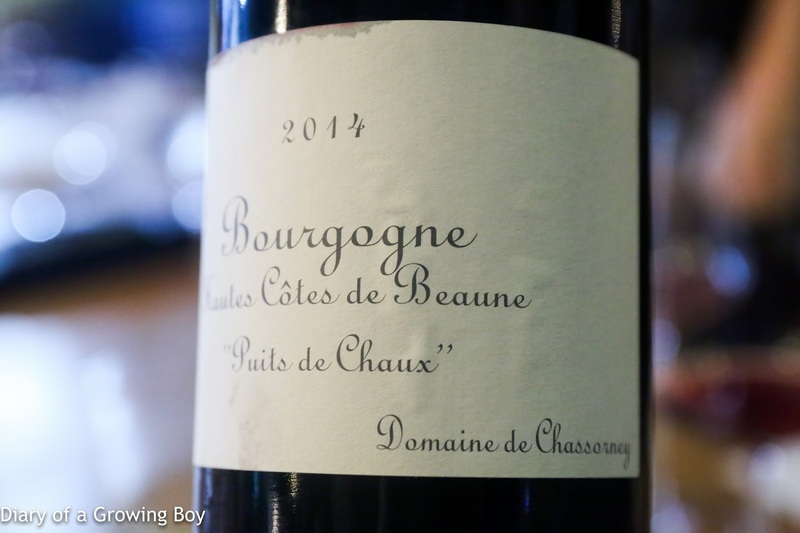 2014 Domaine de Chassorney Bourgogne Hautes-Côtes de Beaune Puits de Chaux - kinda soft on the palate, with nice fruit and a little leather. Boksoondoga Makgeolli (福順都家 손막걸리) - love this naturally sparkling makgeolli, since I like drinking slightly acidic, slightly milky drinks. 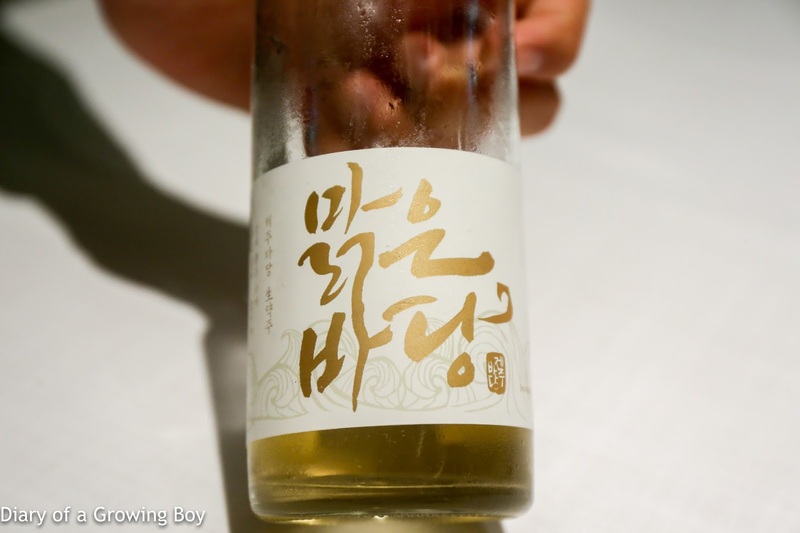 Kooksoondang Songjeolju (국순당 송절주) - traditional Korean liquor brewed with pine needle joints, angelica, azalea, and other flowers. A little sweet on the nose, with Manuka honey, and oxidized like vin jaune. On the palate the pine and medicinal flavors were pretty heavy. Definitely an acquired taste. Dinner at Born and Bred in Seoul. 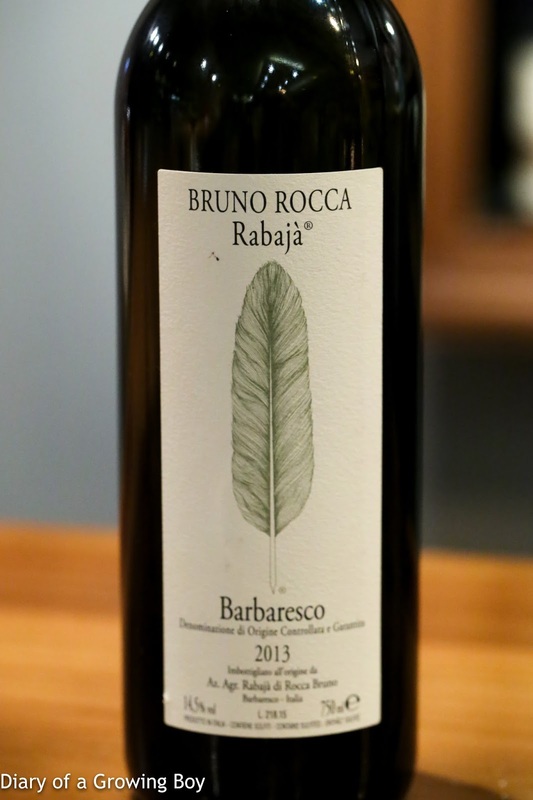 2013 Bruno Rocca Barbaresco Rabaja - pretty sweet nose. 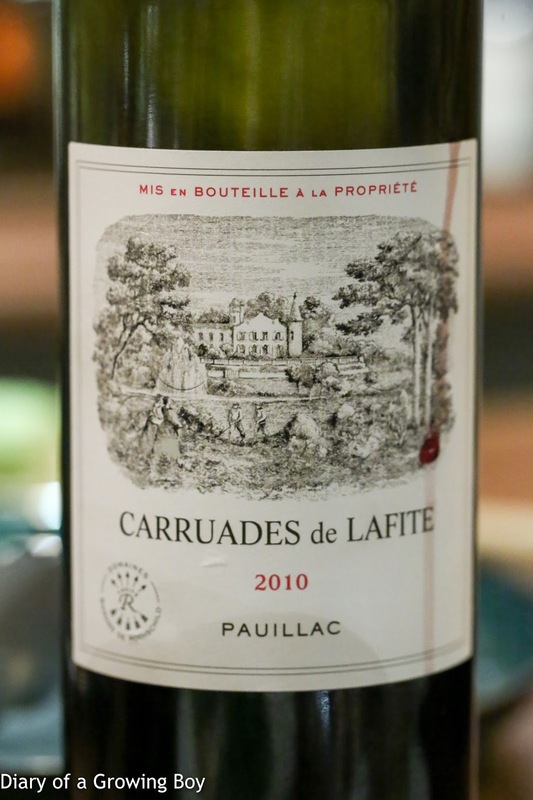 2010 Carruades de Lafite - sweet on the nose, with forest notes and a little cedar fragrance. Actually not too sweet on the palate. Full-bodied with some tannins on the finish. Just popped and poured and already drinking beautifully. Lunch at Dooreyoo in Seoul. 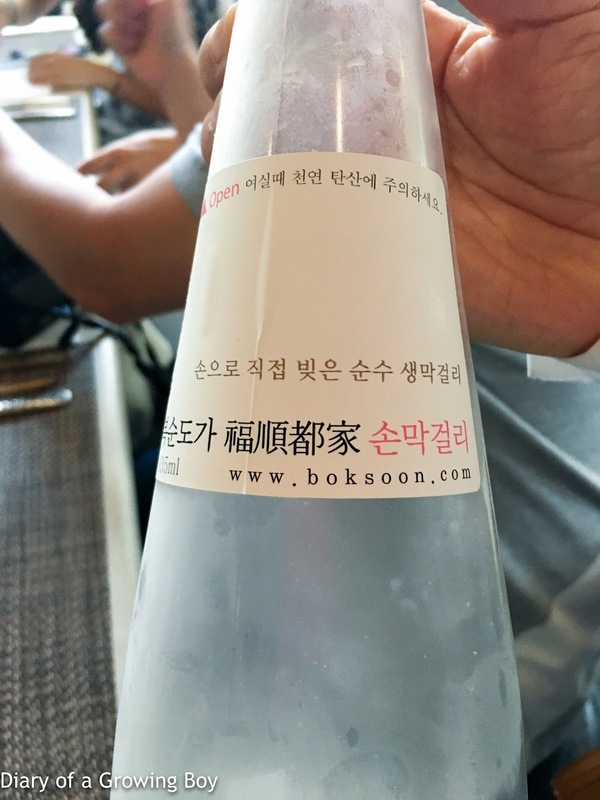 Boksoondoga Makgeolli (福順都家 손막걸리) - naturally sparkling. Nice acidity here, like drinking Calpis Soda. Dinner at Mingles in Seoul. 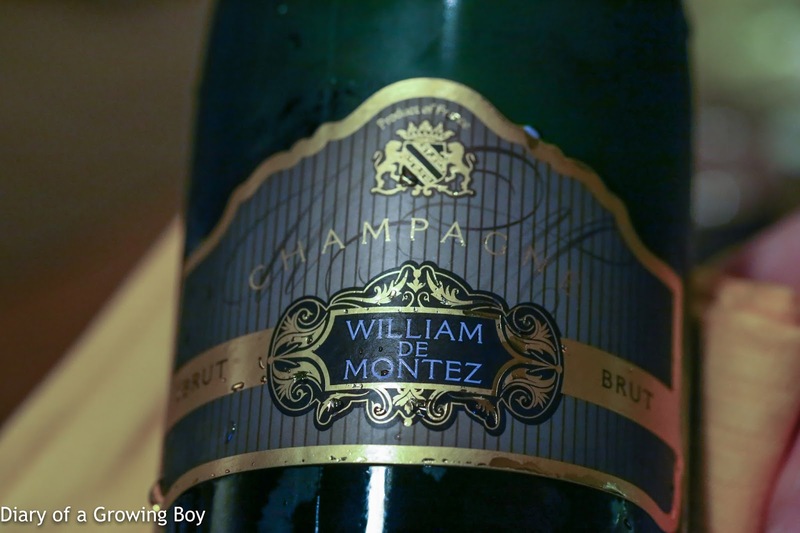 William de Montez Brut - dominated by pinot meunier, with makes it more complex and gives it more body. 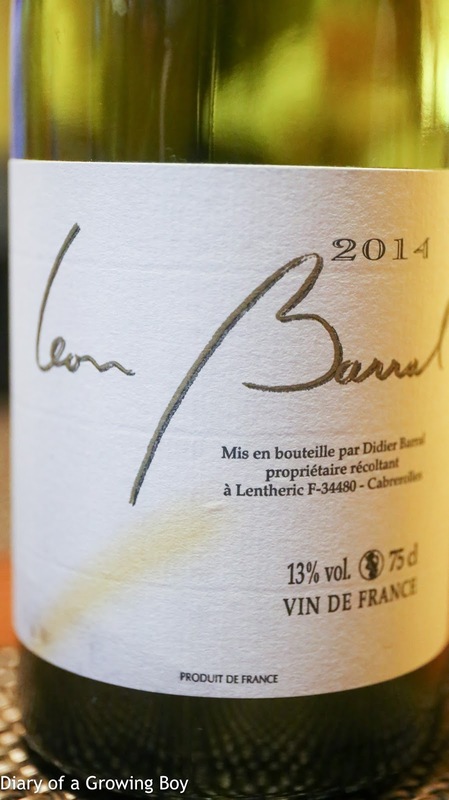 2014 Léon Barral Blanc - nose of honey, apple cider, slightly pungent with a little minerality. 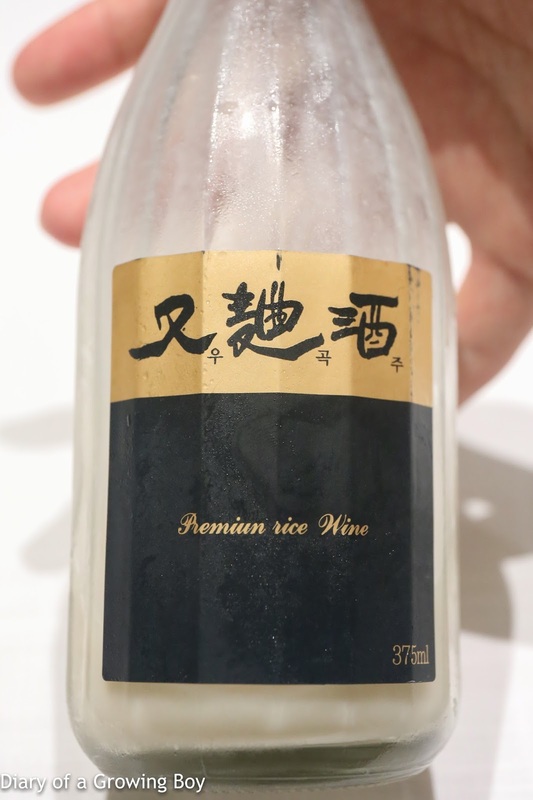 Is this really wine? Dinner at La Yeon in Seoul. 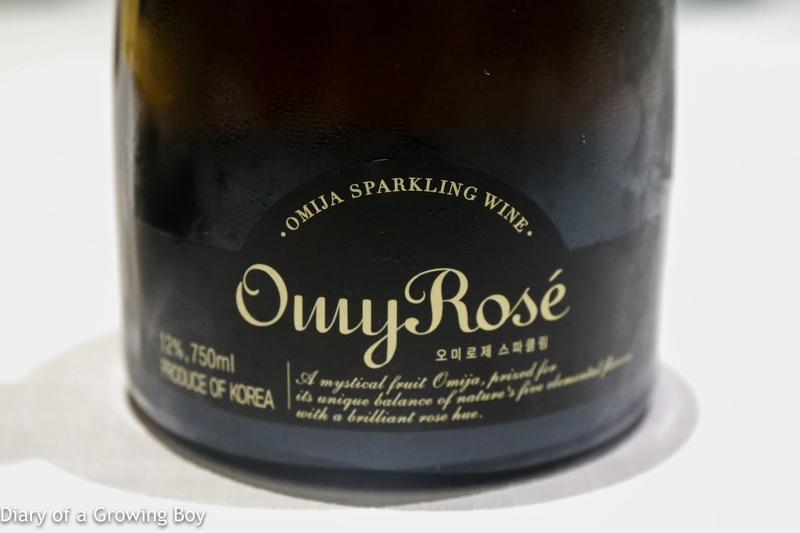 OmyNara OmyRose (오미로제) - a sparkling wine made with omija (오미자), or magnolia berries. Definitely very fruity with lots of deep, berry flavors. The nose was a little strong and slightly pungent. 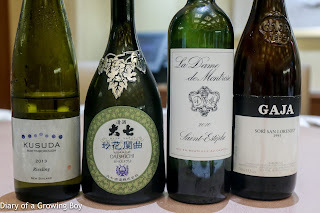 맑은바당 - nose was a little sweet, a little grassy, similar to oxidized yellow wines like Shaoxing. Baedokga Ugok-ju (裴都家 又麴酒 우곡주) - this was unlike any of the cheap makgeolli (막걸리) I've ever had. 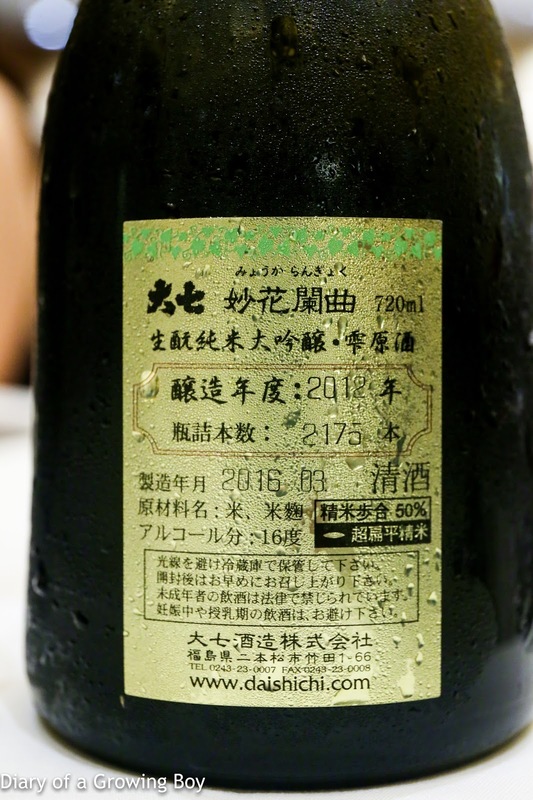 The wine tasted more fermented, much more savory, with fermented bean flavors - even though the only ingredients were rice, water, and yeast. Thick texture and definitely like drinking yogurt. 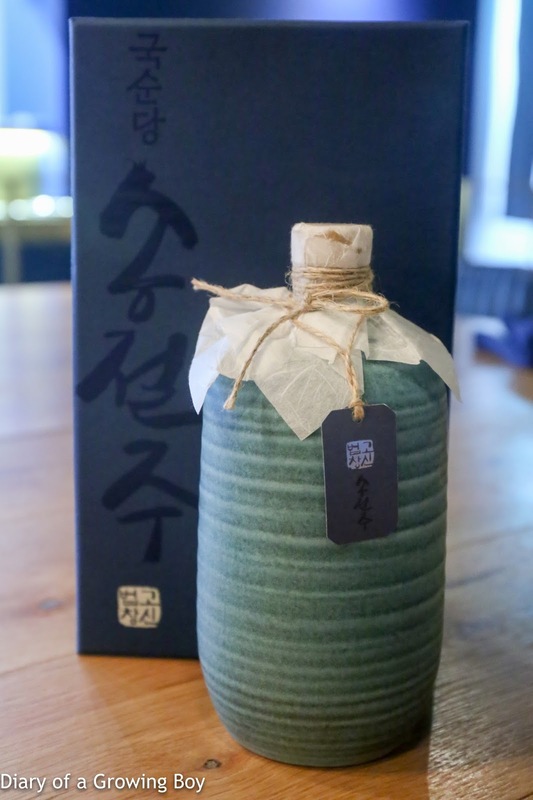 Seonunsan Bokbunjaju (선운산 覆盆子酒) - very sweet on the nose. Very nice to drink. 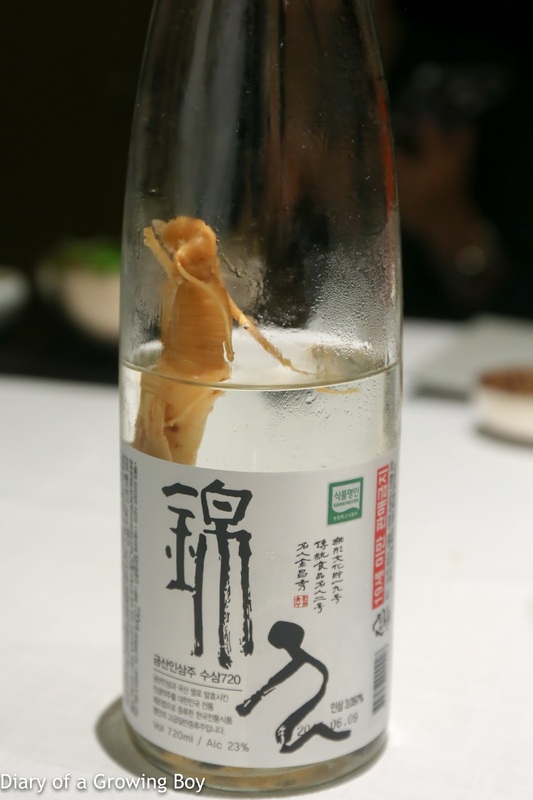 Geumsan Insamju Susam23 (금산인삼주 수삼23) - this is the 23% version of the ginseng soju, made with a 5-year-old susam (수삼) ginseng. The flavors were definitely strong here but clean. Kinda dry on the palate, but pretty smooth. OmyNara Full Moon Omija Brandy (고운달) - this came in at 52% which was pretty damn strong. Tasted a little berry. 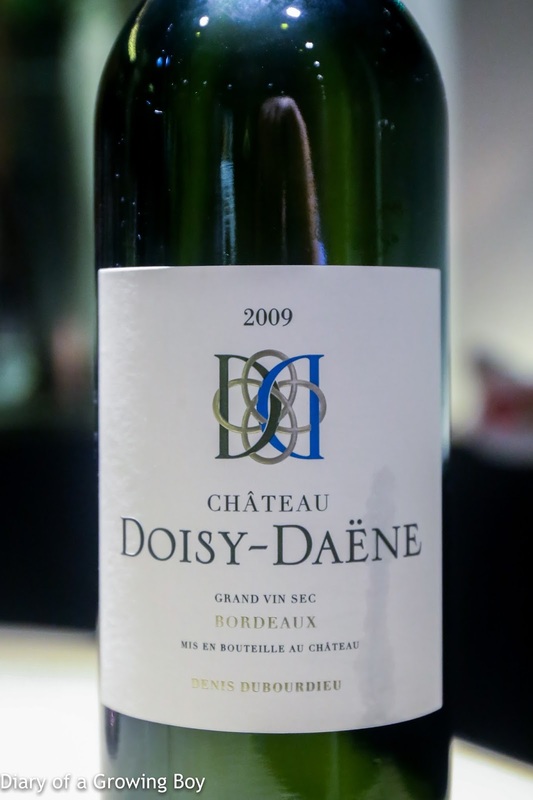 2009 Doisy-Daëne Sec - lots of green apple in the nose, thanks to being 100% Sauvignon Blanc. Also flinty, and kinda ripe on the palate. 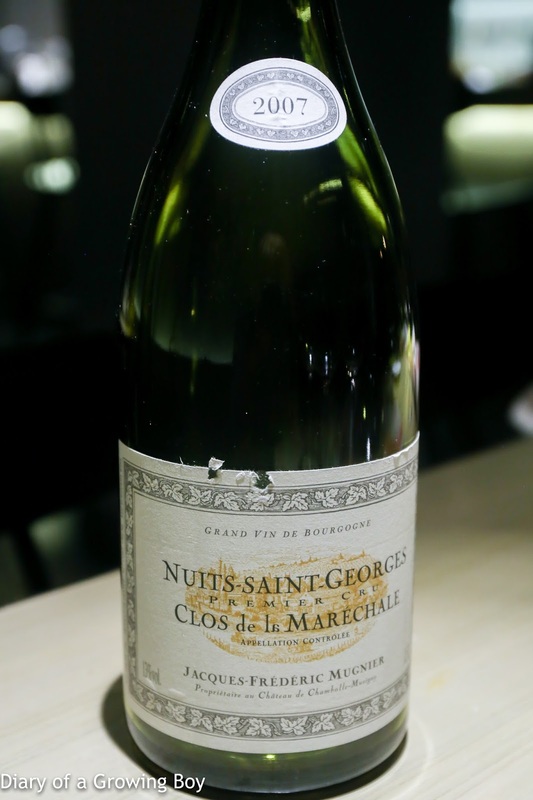 2007 Mugnier Nuits-Saint-Georges 1er Cru Clos de la Maréchale, en magnum - decanted for almost an hour before serving. 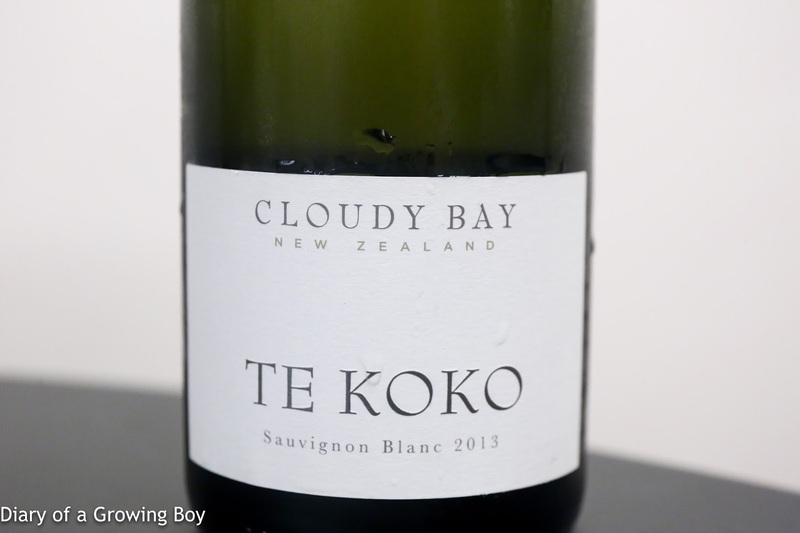 A little eucalyptus and some fruit in the nose. Not too bad. 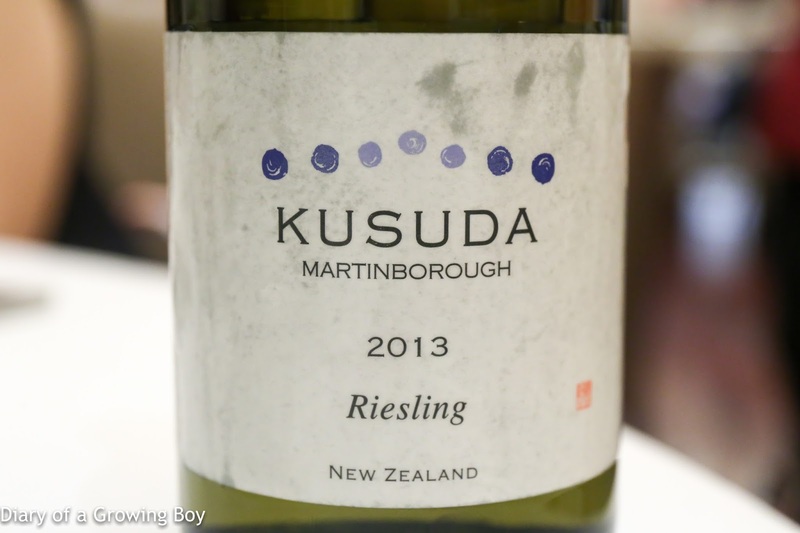 2013 Kusuda Riesling - a little petrol and polyurethane on the nose, fairly light. Rather dry and lean on the palate. 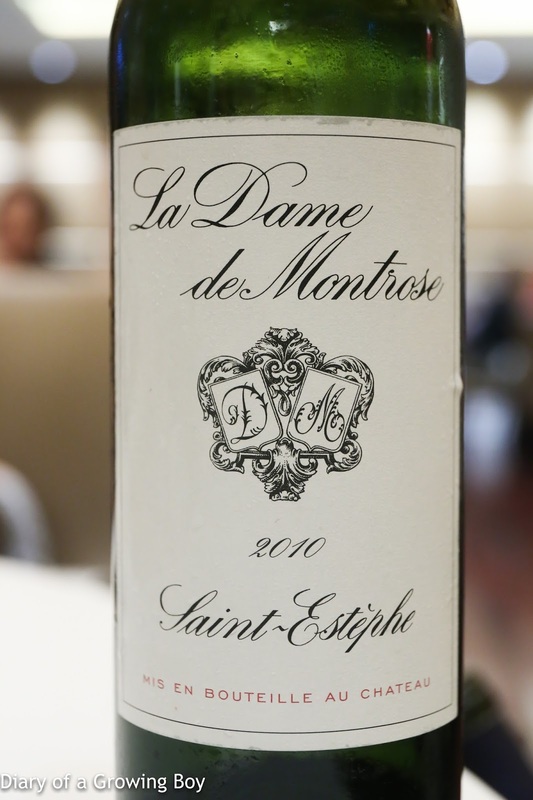 2009 Dame de Montrose - decanted for about 30 minutes. A little smoky, with some fruit. Still a little tight on the palate. Some tannins here but not too heavy. Later on more smoke showed up in the nose, and the tannins were smoother and silkier. 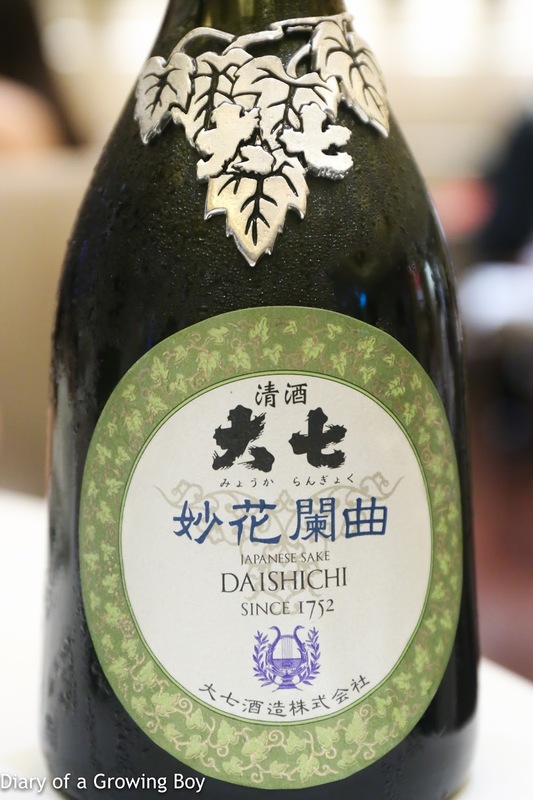 Daishichi Myoukarangyoku Junmai Daiginjo Shizuku Genshu (大七 妙花蘭曲 純米大吟醸 雫原酒), 24BY - very rich rice aromas on the nose, with lots of banana. Kinda sweet on the palate as long as it's served cold. 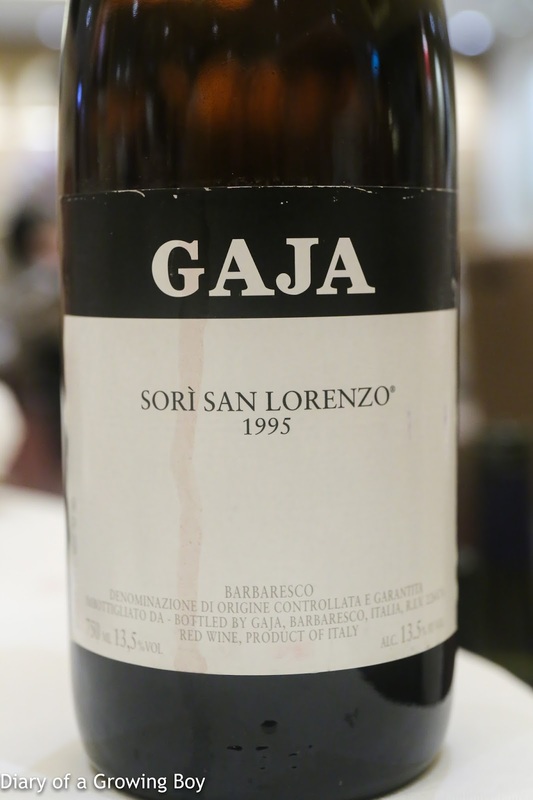 1995 Gaja Barbaresco Sori San Lorenzo - decanted for about 45 minutes. Smoky with leather notes. Still tannic. 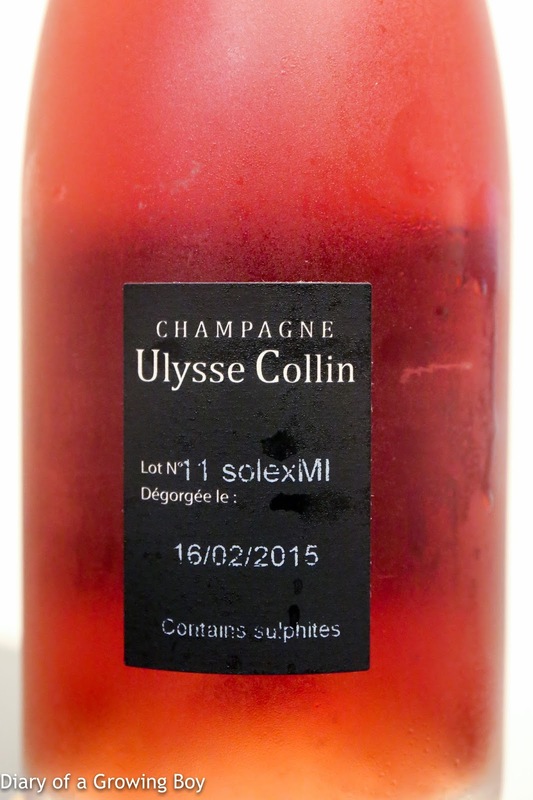 Ulysse Collin Les Maillons, dégorgée le 16 février 2015 - lots of red fruits, good depth of flavors on the palate. A little pungent sulfur. As an extra brut, this was drier on the palate than I preferred. 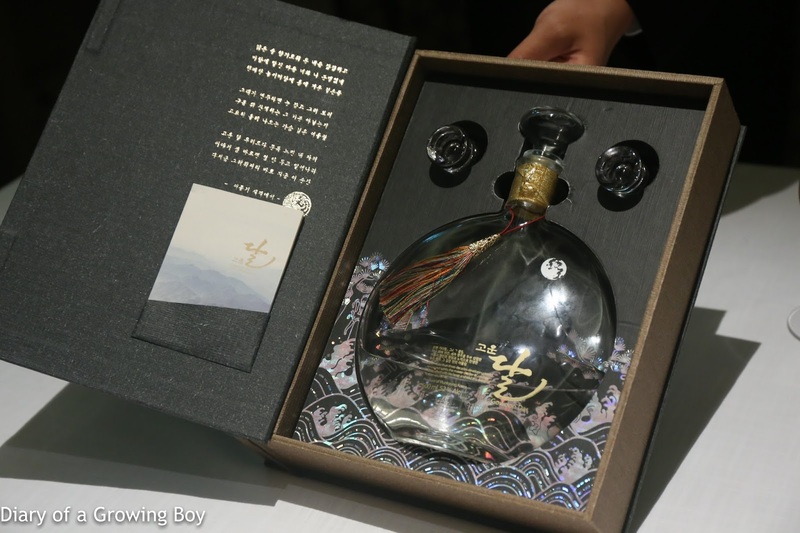 The Krug x Mushroom tour, at Arcane, ON Dining Kitchen and Lounge, and Beef and Liberty. 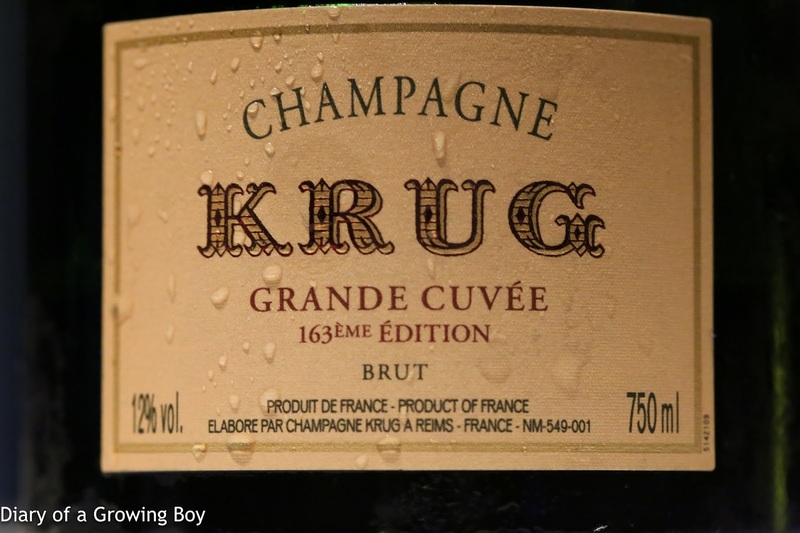 Krug Grande Cuvée, 163ème édition - a blend of almost 190 wines, with the base being 2007 and the oldest coming from 1990. Good ripeness on the palate, with some marmalade. Lunch at Arnau in Astana. 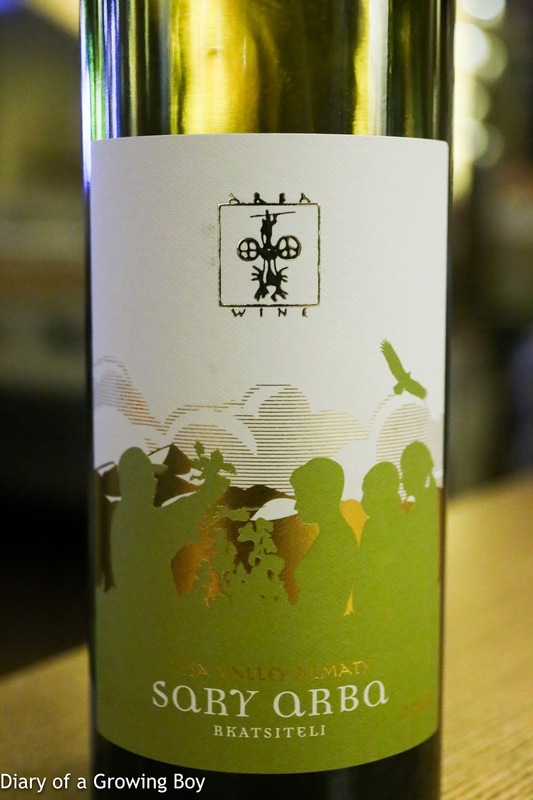 2013 Sary Arba Rkatsiteli - some fragrance in the nose here, floral, a little pine. 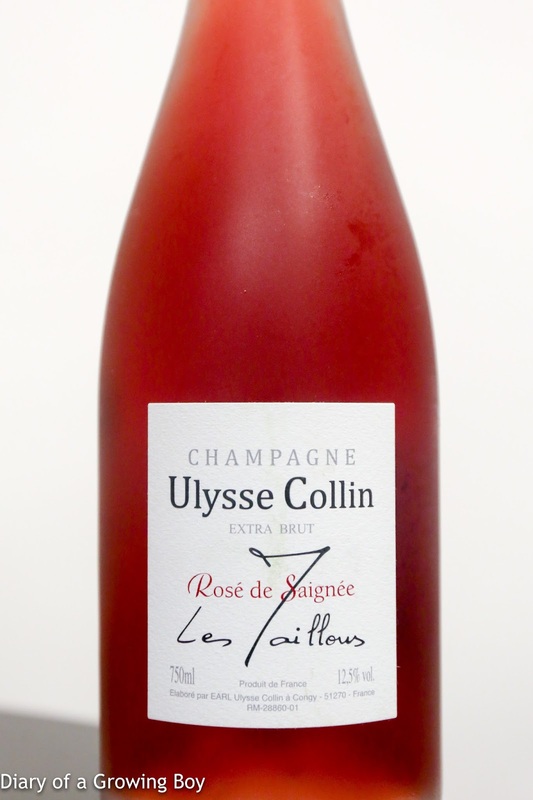 A little alcoholic, pretty ripe and hot on the palate, with good acidity on the finish.